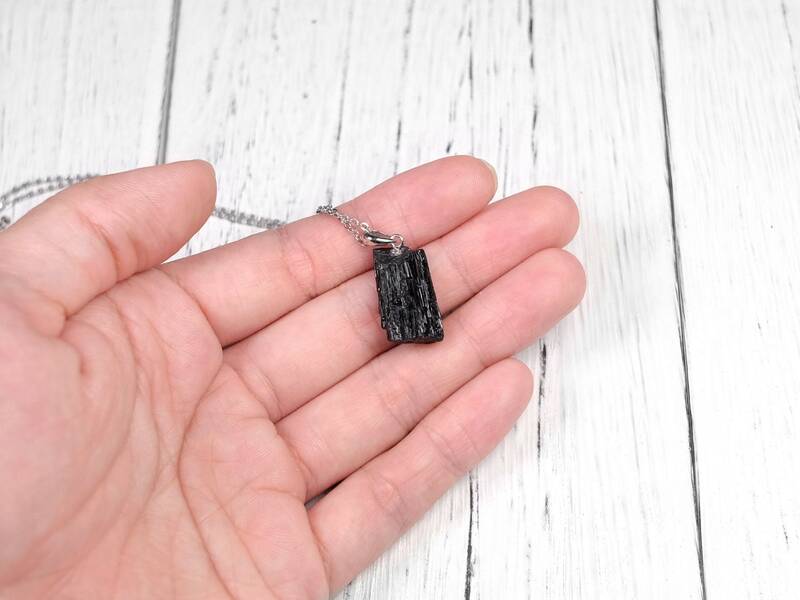 A simple modern necklace using natural raw black tourmaline. 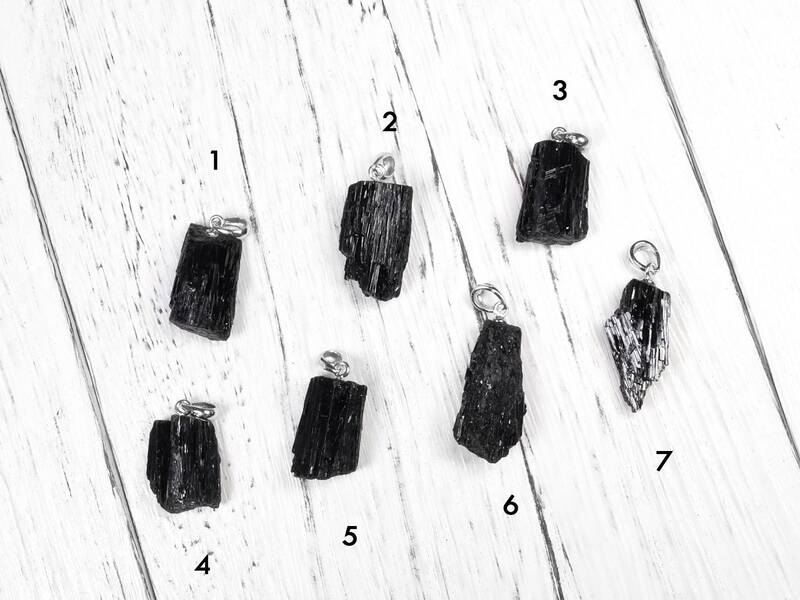 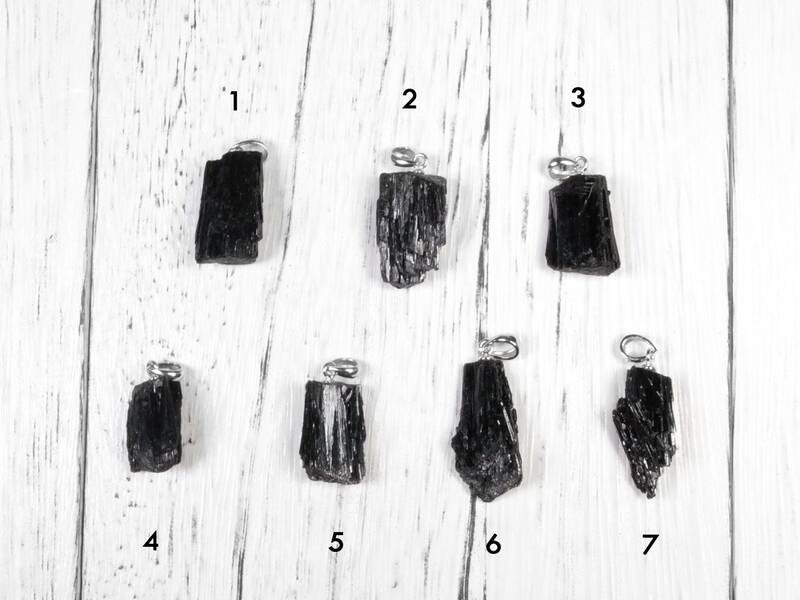 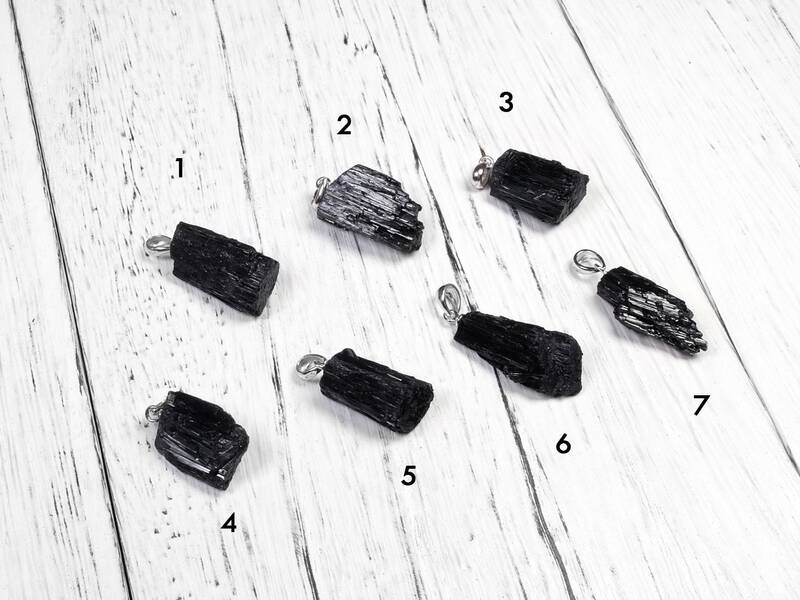 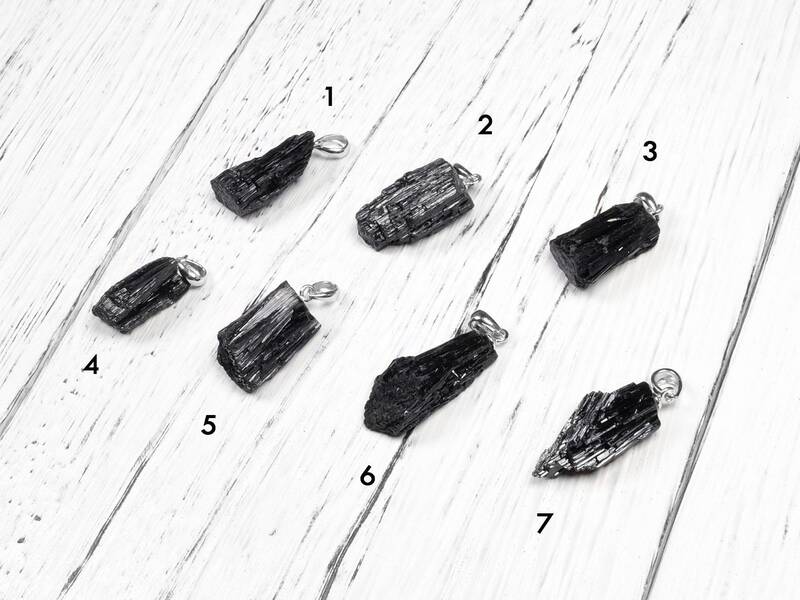 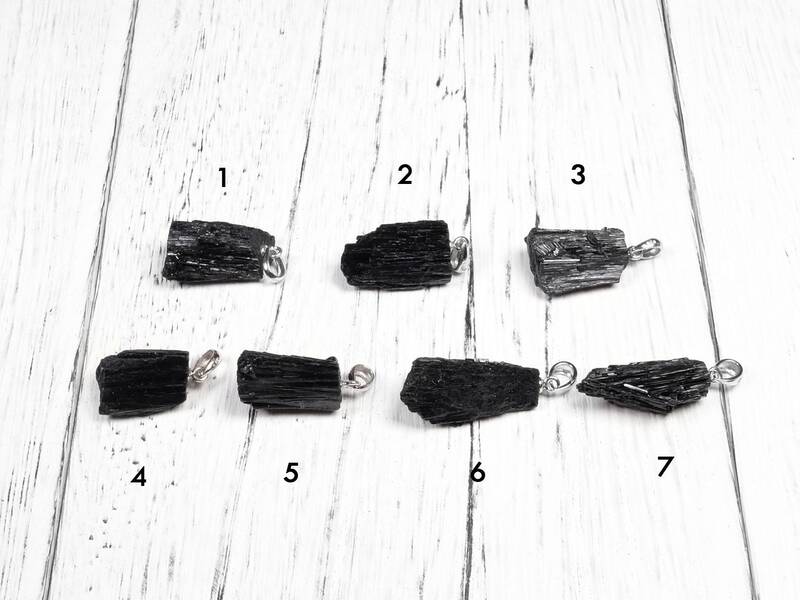 The black tourmaline is intricate in its structure and is fun to look at closeup. 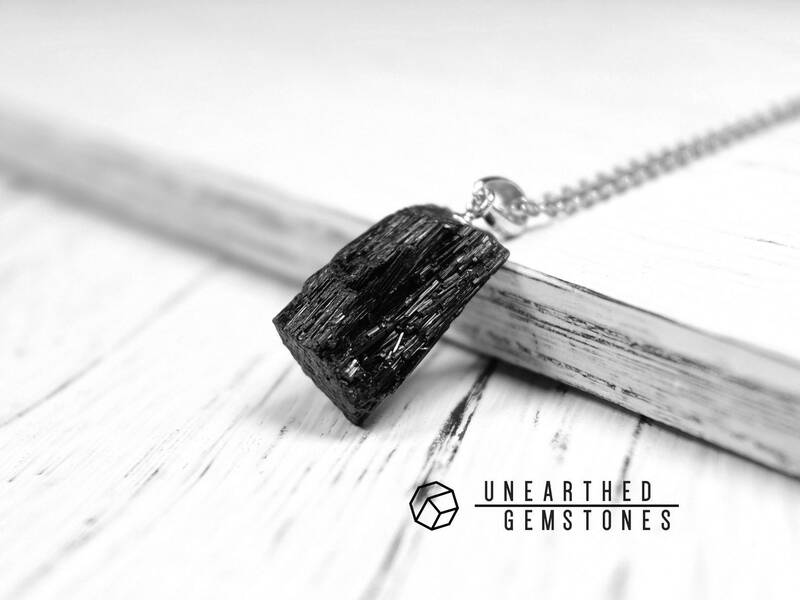 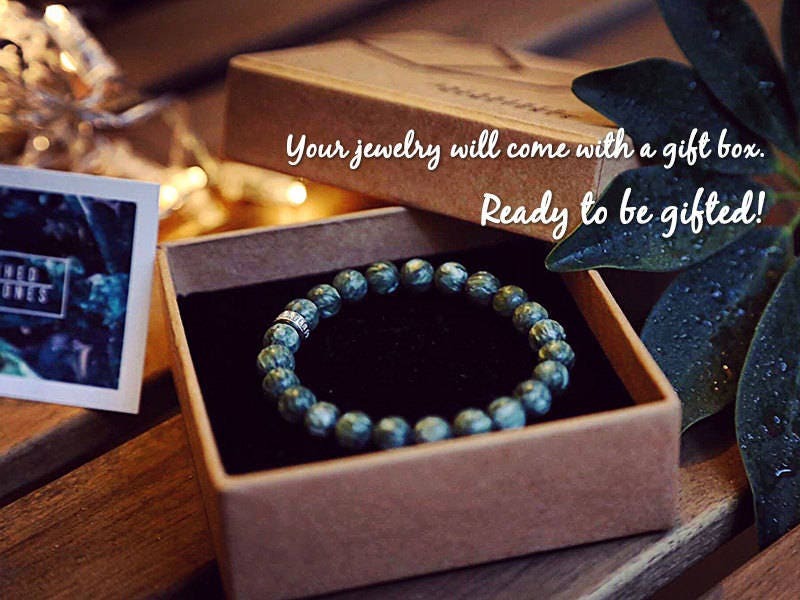 Great choice for a gemstone necklace that is simple yet intriguing.